Simonidy was born in Bucharest, Romania, but studied and worked in France. He was a pupil of Léon Bonnat, Fernand Humbert and Gabriel Ferrier. Simonidy was known as a painter of historical scenes, figures, nudes, landscapes, still lifes, and marine views. He worked in oil, pastel, watercolor, and gouache. He was also an illustrator. 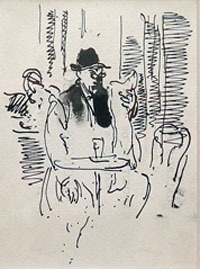 He exhibited in the Salon des Artistes Français in Paris. Simonidy won an Honorable Mention in the Universal Exposition of 1899 and a Silver Medal in 1900. He was made a Knight of the Legion of Honor in 1901. 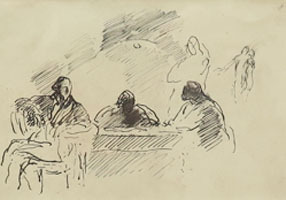 His work is found in the permanent collection of the Bucharest Museum (The Pinacoteca).